Through our decades of experience and technological leadership in all areas of aluminum fabrication (casting, machining, extrusions, welding/brazing, etc. ), Gupta Permold has developed and earned a clear advantage in the manufacturing of custom thermal management devices. Applications range from a broad spectrum of industries, from Medical equipment to micro-chip/semiconductor components. Whatever form your solution takes (vacuum-brazed cold plate, aluminum casting with internal cooling passages, CNC machined finned extrusion, etc. 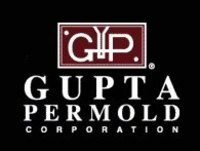 ), Gupta Permold can work closely with your Engineering Department to develop a design that surpasses expectations for form, fit, and function, and yet is designed for manufacturability to achieve the lowest possible cost. Our latest full-color brochure detailing our wide range of products offerings including aluminum casting and CNC machining.